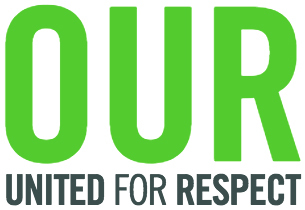 The Organization United for Respect (OUR) seeks a dynamic Organizing Director to grow a powerful network of action among people working for America’s largest low-wage retail corporations. Excellent self-management skills, with the ability to work independently. Salary range is $76,000 – $90,000 dependent on experience and location. OUR is an equal opportunity employer with a commitment to equity. People of color, women, and LGBT candidates are encouraged to apply.